← “LEGO DC Comics Super Heroes – Justice League: Attack of the Legion of Doom” Coming This August! 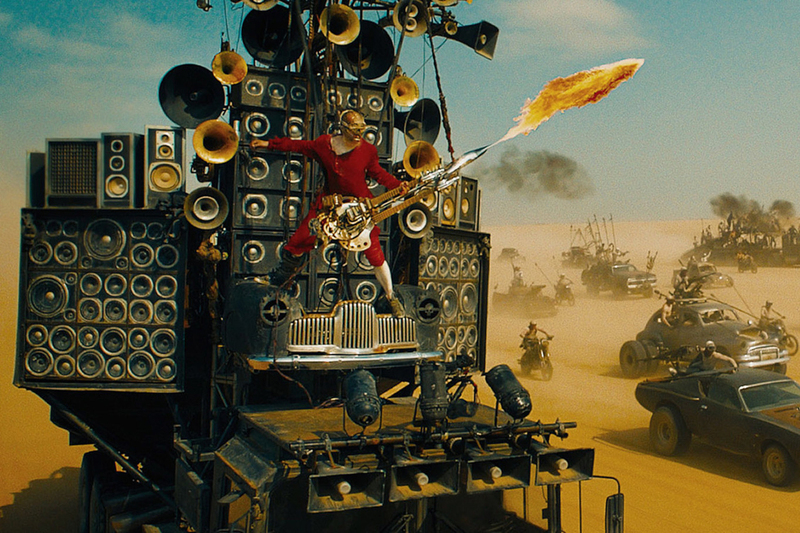 Since seeing “Mad Max: Fury Road” we have been consumed by everything related to the film. We loved the Poster Posse tribute to the film and now Fright Rags has released a shirt featuring one of our favorite characters from the film. 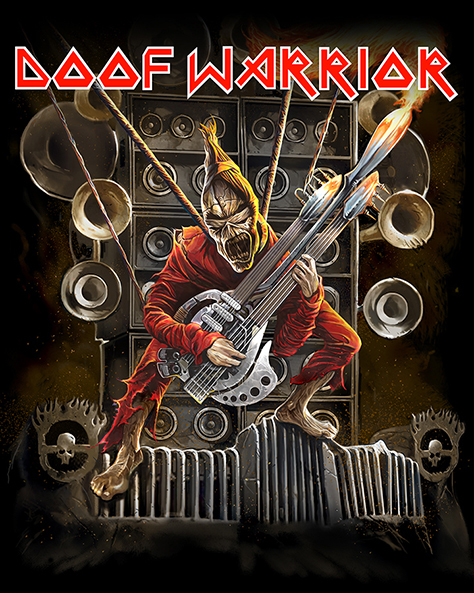 This “Doof Warrior” tee features the guitar shredding maniac who let’s his guitar do all his talking. 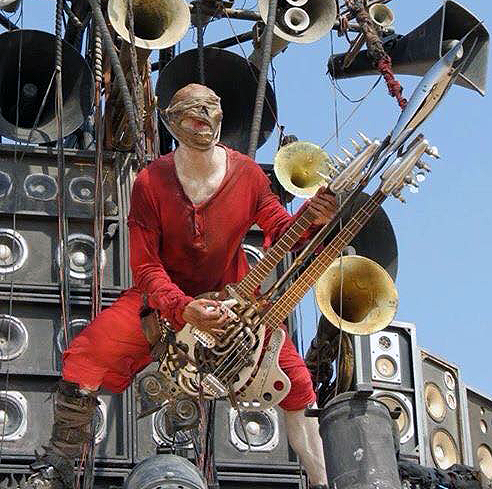 The unique guitar spews flames while the Doof Warrior is strapped and suspended to a vehicle as they race across the desert in pursuit of Imperator Furiosa and the treasures she has stolen from Immortan Joe. 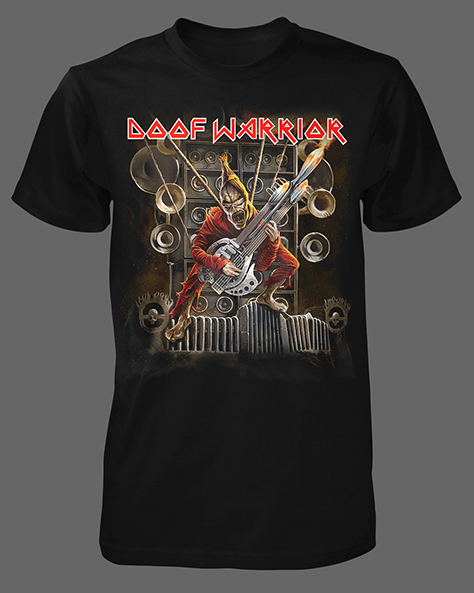 CLICK HERE to order this t-shirt before they are gone…..
You can see more of Fright Rags impressive offering on their OFFICIAL WEBSITE and keep up to date on new releases via their TWITTER and FACEBOOK pages. This entry was posted in Apparel & Footwear, Movies, Poster Posse and tagged Doof Warrior, Fright Rags, Fury Road, guitar, Immortan Joe, Imperator Furiosa, Iron Maiden, Mad Max, Mad Max: Fury Road, t-shirt, tee shirt. Bookmark the permalink.